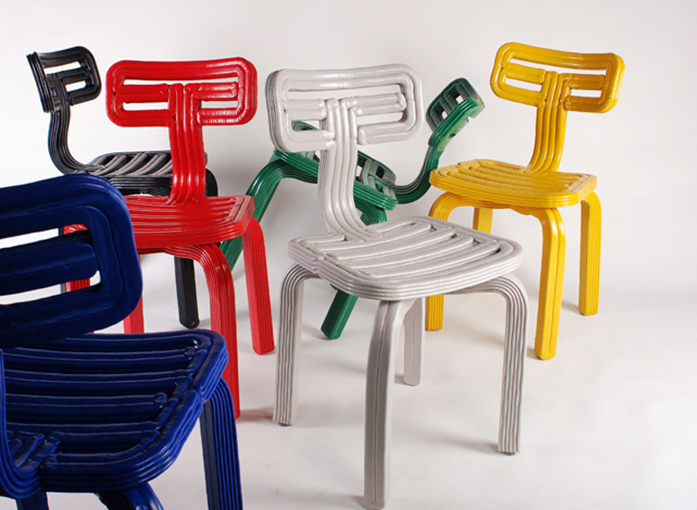 The 3D-printed Chubby Chair is made from recycled plastic. 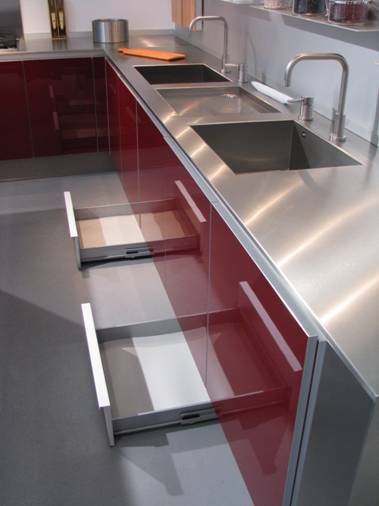 Designed by Dirk van der Kooij. When it comes to treading lightly and minimizing environmental impact, the Dutch are far ahead of most of us. Considering that Holland has more bikes per capita than any other nation—almost one per person—and Amsterdam has 400 kilometers of bike lanes, the Dutch are clearly serious about reducing their carbon footprint. A pop-up exhibit at the Netherlands Embassy in DC spotlighted many Dutch innovators on the forefront of sustainable design. On view December 15 and 16, “ReUse, ReTouch, ReDutch” presented more than 50 objects designed for everyday use and made out of recycled or re-purposed materials. 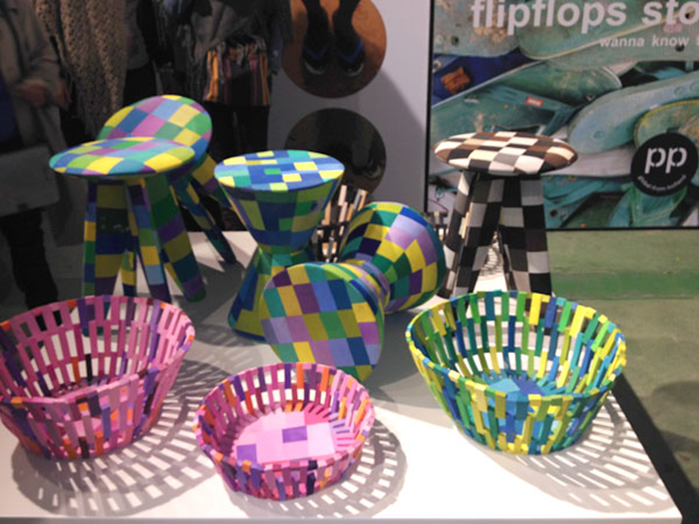 These stools and baskets are created from recycled flip-flops found on the beaches of Africa. Designed by Diederik Schneemann. 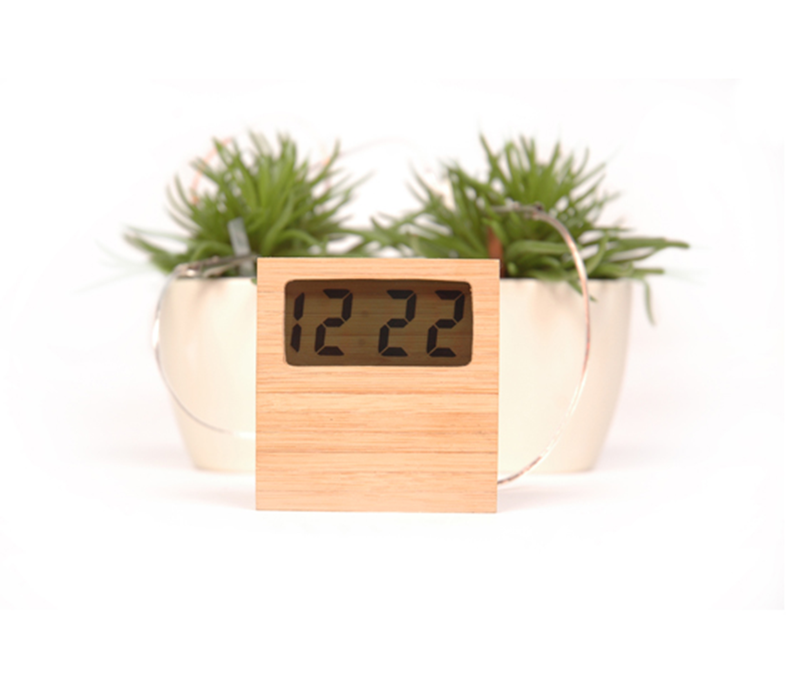 The Soil Clock runs on mud; it uses powered electricity created by the metabolism of organic matter and the chemical reaction of copper and zinc. 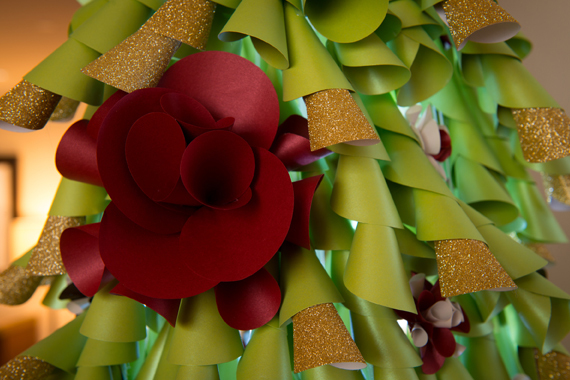 Designed by Marieke Staps. 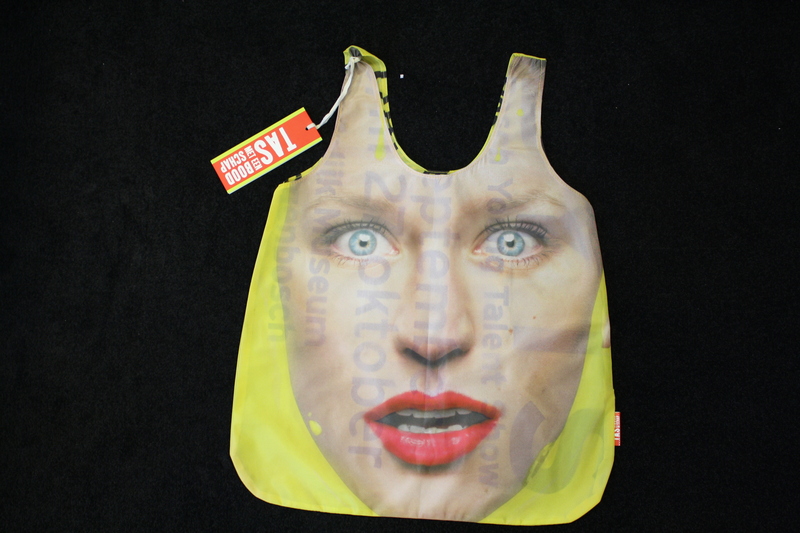 Bags with a Message are made from used promotional materials. Design by Ellen Willink. 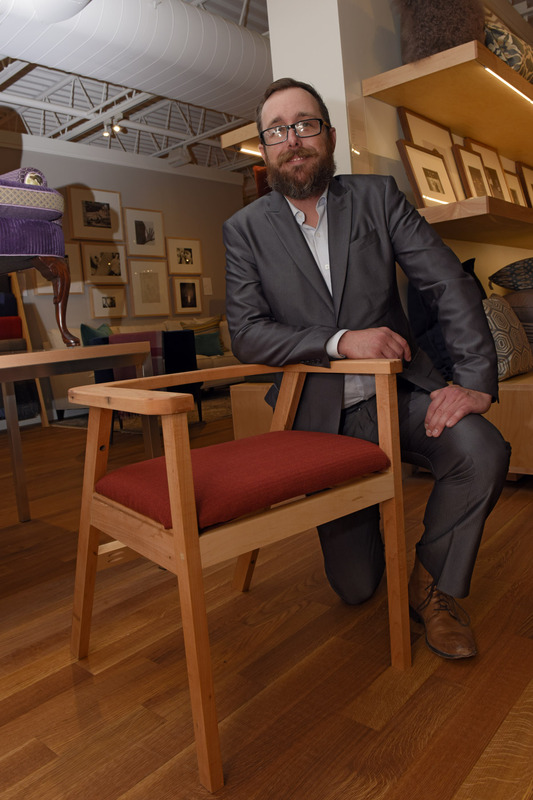 OCTOBER 1, 2014—The Washington Chapter of the International Furnishings and Design Association gathered at Room & Board in DC for the unveiling of 15 very special chairs. Fifteen local design teams reimagined ordinary chairs or upcycled materials into one-of-kind creations for this charity event. The chairs will remain on view at Room & Board until Wednesday, October 15th, when they will be auctioned off at a gala reception from 6 to 8:30 PM that evening. Will Thomas of DC Fox 5 News will serve as emcee. Proceeds benefit Team Red, White & Blue—a nonprofit that enriches the lives of America’s veterans by connecting them to their community through physical and social activity. Home & Design was a media sponsor of the event. This is IFDA’s second annual Take a Seat event; four other chapters around the country launched simultaneous Take a Seat events to support charities of their choice. 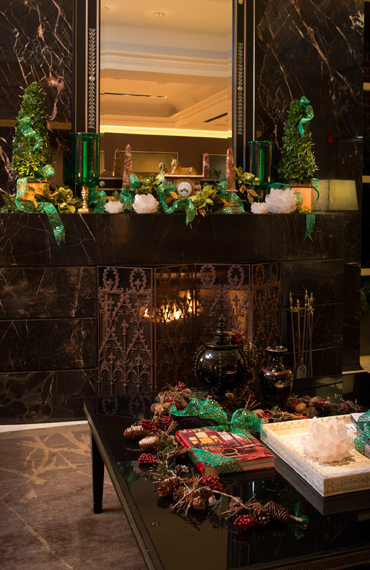 At last night’s press preview for the Georgetown Jingle, holiday cheer abounded in the public spaces of the Four Seasons Hotel Washington, DC—all conjured by top area designers, who created 18 innovative trees and vignettes for the December 15 event. 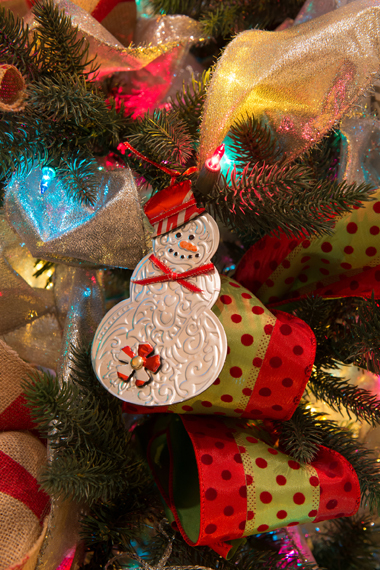 On view until December 16, they are for sale and available to take home before Christmas. Now in its eighth year, this popular fundraiser benefits Medstar Georgetown University Hospital’s pediatric oncology programs. It has raised more than $1.5 million since its inception, and on this occasion, several designers marveled at the spirit of giving that drives the event. “It’s such a sense of community,” commented Elizabeth Krial, whose tree, Christmas Stories by the Fire, features more than 30 pairs of old wire-rimmed glasses, donated by a Lions Club member who collects them for those in need. 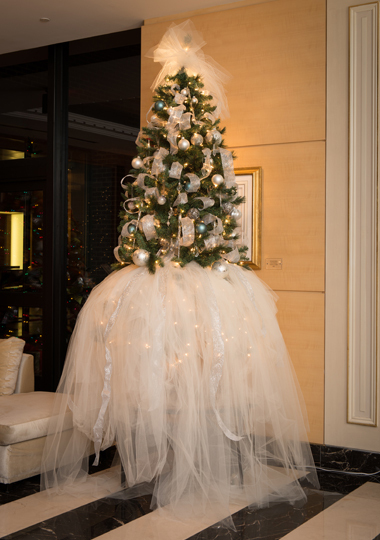 The theme of recycled and found materials was popular, with a tree by Camille Saum decorated with repurposed fabric from her workshop and whimsical ornaments made from soda cans. 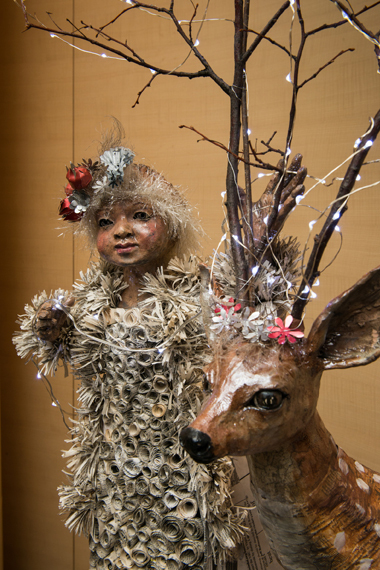 A vignette by artist Lisa Schumaier depicts papier maché figures made from newspaper and twigs, with raku-fired ceramic faces. 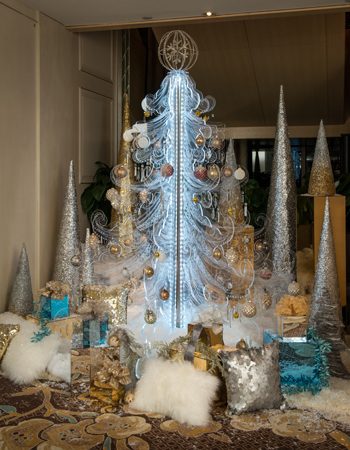 Other highlights include a tree by Boffi-Maxalto celebrating Italian style (it comes with a trip to Tuscany); a sculptural tree by the Corcoran School of Art + Design covered in 1,000 aluminum-tape rosettes; and Venetian Fantasy, a tree by Barry Dixon ornamented in blown glass. On December 15th, the Jingle will take place in two parts: In the afternoon, Holiday Wonderland—a family-oriented celebration from 1 to 4 pm—features craft-making with help from design teams including Claire Schwab Interior Design, Inc., Darlene Molnar LLC, Iantha Carley Interiors, Niermann Weeks, Case Design/Remodeling and Regan Billingsley Interiors. Appearances will be made by Santa Claus, Frosty the Snowman, Captain America and treats will be provided by Georgetown Cupcake. Barry Dixon, Barry Dixon, Inc.
Zoe Feldman, Zoe Feldman Design, Inc.
August 29, 2013—After more than a decade in the works, Salamander Resort & Spa finally opened its doors today as hundreds of locals, government officials, dignitaries and members of the press clamored to get a look inside Sheila Johnson’s long-awaited endeavor. 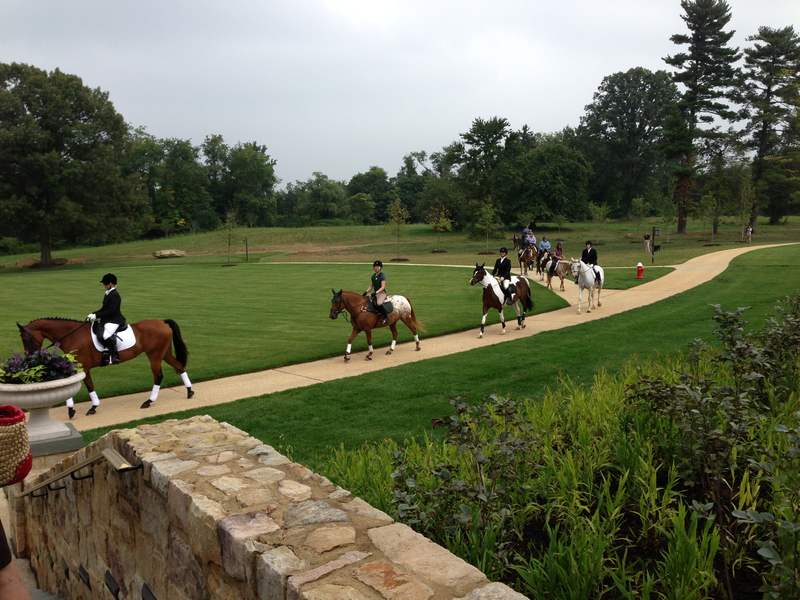 An equestrian class at Salamander Resort & Spa. 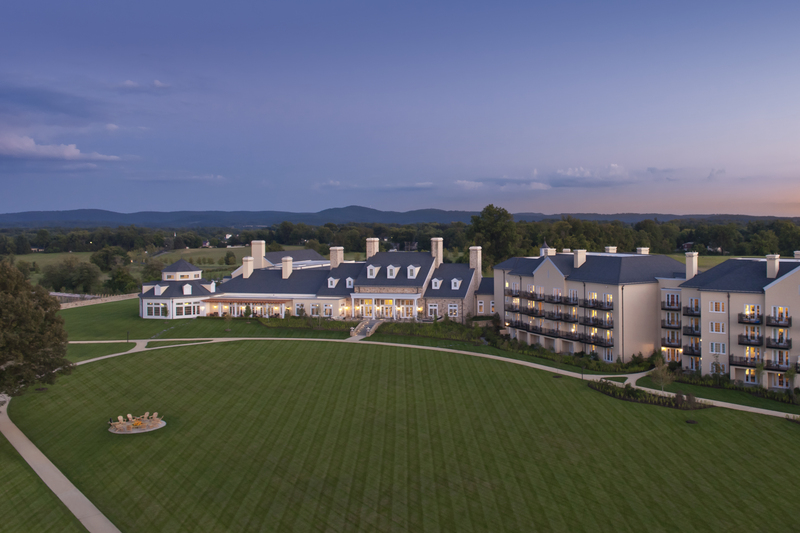 Inspired by Johnson’s nearby farm, the 168-room, LEED-certified resort was designed to reflect the Virginia vernacular. Located in the heart of Loudoun County’s Horse Country, it’s only fitting that it is home to an equestrian center with miles of trails to explore. Its tranquil, full-service spa pampers guests with an array of treatments; its locker rooms feature soothing whirlpools, aromatic steam rooms, stone Tepidarium chairs and experiential showers. 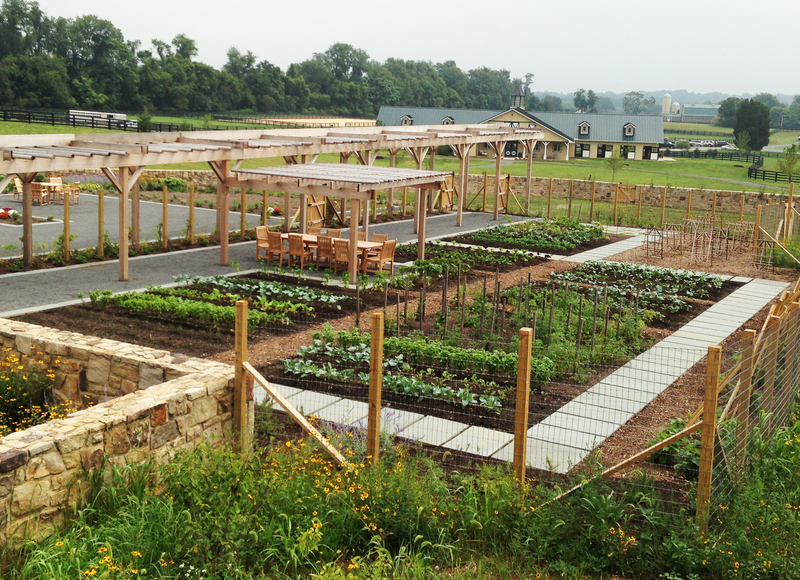 Salamander Resort’s two-acre culinary garden. Culinary director Todd Gray of DC’s Equinox restaurant oversees the resort’s dining options, which include Harriman’s Grill and the Gold Cup Wine Bar. 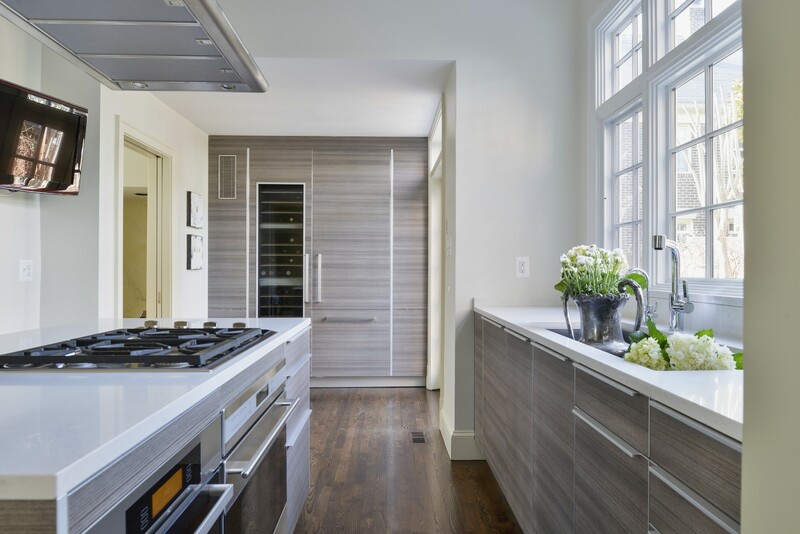 A spacious cooking studio facing the open chef’s kitchen will host daily cooking classes. A two-acre culinary garden supplies many of the kitchen’s herbs and vegetables. 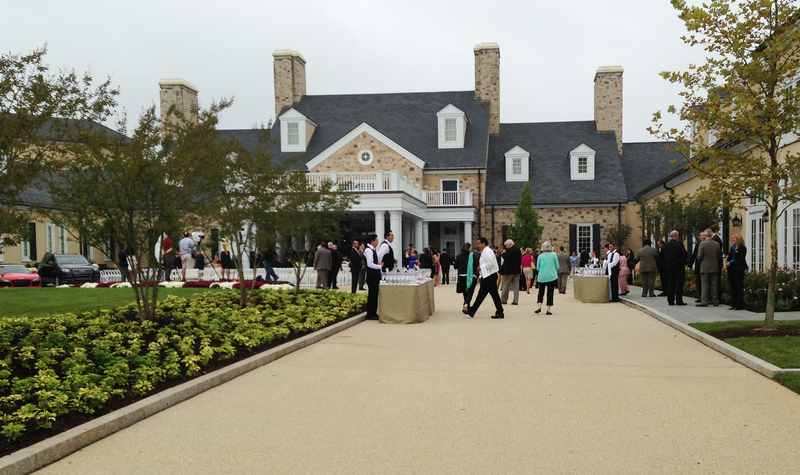 The main entry courtyard welcomes visitors on opening day. 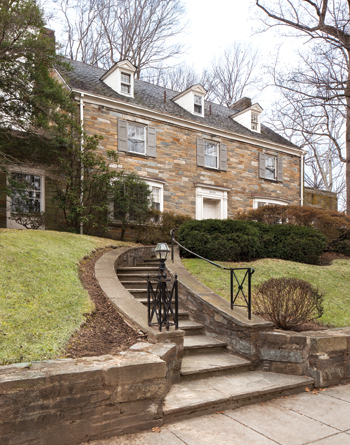 Historic Woodlawn Estate originally belonged to Mount Vernon. 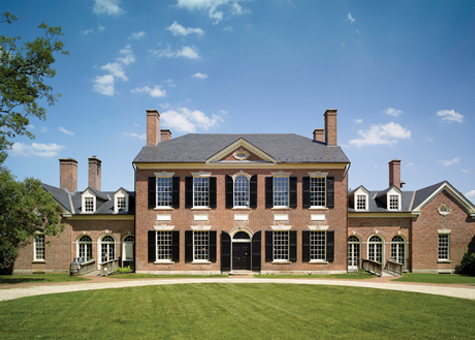 The land was gifted by George Washington to his nephew in 1799; the house was built on the site in 1806. On a recent, cherry blossom-scented spring afternoon, Home & Design attended the press preview for All American House at picturesque Woodlawn Estate near Mount Vernon. 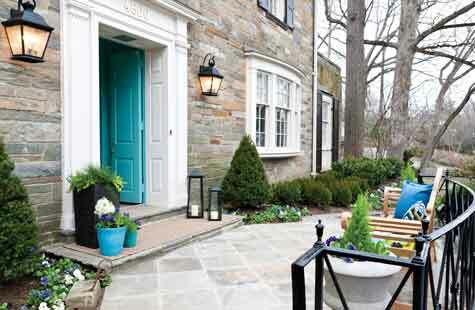 Sponsored by MADE: In America—a non-profit that fosters American industry in a global economy—the event is the first in a series that will pair interior designers with historic house properties; the goal is to create show houses that offer an updated design aesthetic against the backdrop of history. Woodlawn’s designers bring a particularly fresh and youthful perspective: They’re students from George Washington University and the University of North Carolina at Greensboro. With oversight by New York designer Alexa Hampton and McLean designer Barbara Hawthorn, each team participated in a juried competition, designing a total of eight rooms in the house. Meanwhile, students from the Corcoran College of Art + Design virtually re-imagined the Frank Lloyd Wright-designed Pope-Leighey House, which is located on the same grounds. Their concept boards are showcased at Woodlawn. The student designers encountered plenty of challenges—and they definitely rose to the occasion. The rooms deftly combine original furnishings with new, interesting pieces by a list of American furniture companies that includes Century, Hickory Chair, Edward Ferrell + Lewis Mittman, Niermann Weeks, Duralee and Keith Fritz. Paul Montgomery Studio provided custom triptychs. There were constraints as to color choices (they were made by the National Trust for Historic Preservation) and care had to be taken not to alter the walls. “It was so valuable for the students because it’s exactly what they’ll be doing for clients. Working around an already existing situation is how it happens in the real world,” Hampton commented. The juried competition was chaired by New York designer and author Alexa Hampton (right). 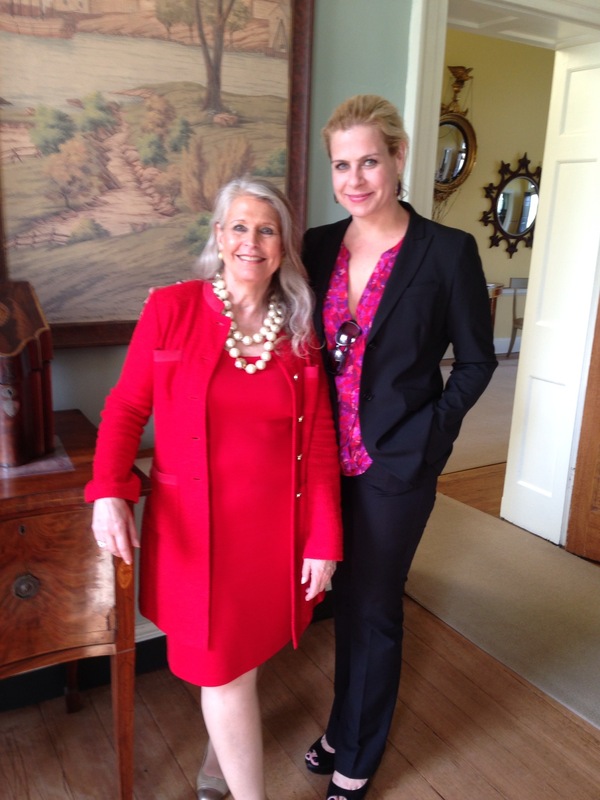 Designer Barbara Hawthorn (left) served as advisor for the students. 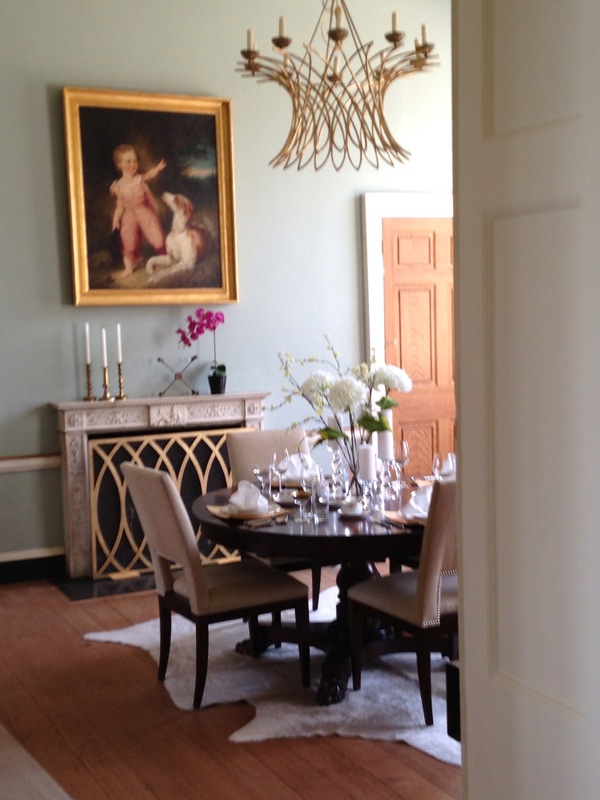 The dining room combines old and new with a gold-framed painting that’s original to the house, and a gold-finished chandelier and fireplace screen by Niermann Weeks. 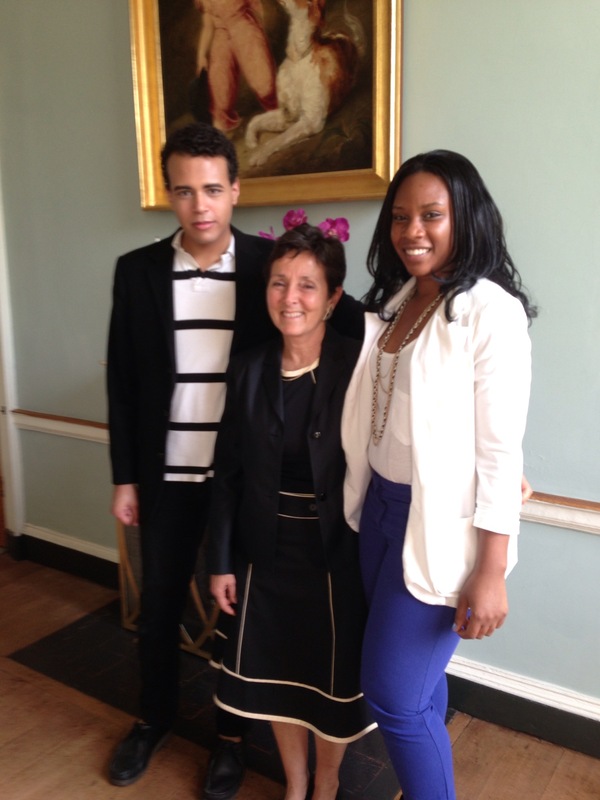 Professor Nancy Evans of George Washington University is flanked by students Jasmine Callender and James Michaud, who designed the dining room: ; both are currently juniors at GW. 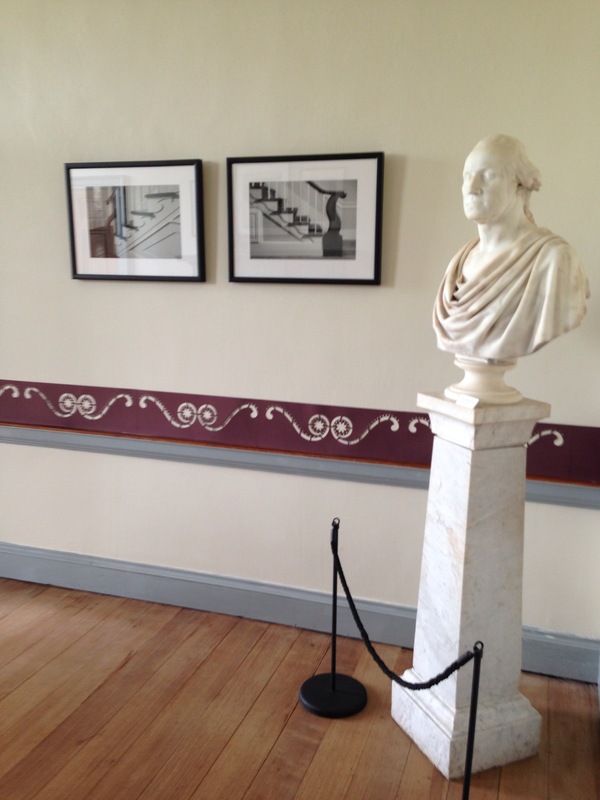 Designed by students from the University of North Carolina at Greensboro, the winning room was the parlor, which pairs a bust of Washington—original to the house—with modern architectural photography. A stencil was added that reflects the Federal period when the house was built. The music room includes furnishings by Edward Ferrell + Lewis Mittman against a sage-green backdrop. 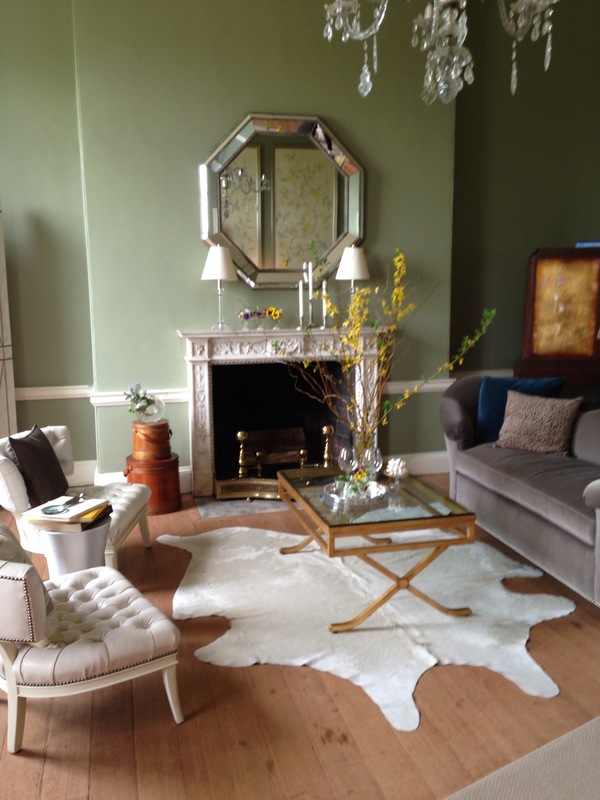 An animal hide rug from Century modernizes the space while the marble fireplace is original to the house.